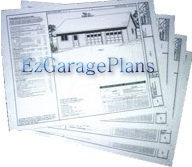 Ez Garage Plan #676-fp Built on your site as low as $23,988 includes concrete slab just drive on in! When you order your plans from us, we as builders as well as designers will offer Free information and advice on any questions you may have! You can assemble your own with a little help and save thousands. Builders you can save time and money and increase your profits. 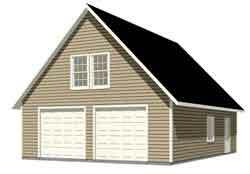 We will deliver or assemble our Framed Buildings most anywhere, most any design. 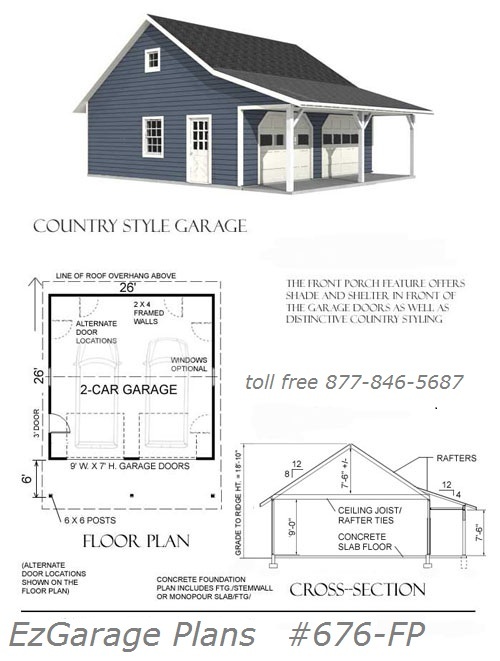 Complete 2" x 4" frame construction package that can be delivered to your site, includes 2 garage door 7' x 9' rough door openings w/2"x8" headers, #1 3' entry door w/ header and #2 window openings w/headers, #21 trussed ez to set (trussed 16" on center) roof system with 12" overhang on each side, top plates included.